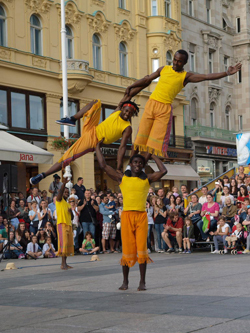 For the next six days Zagreb city center will be hosting the biggest street performers’ festival in this part of the world! 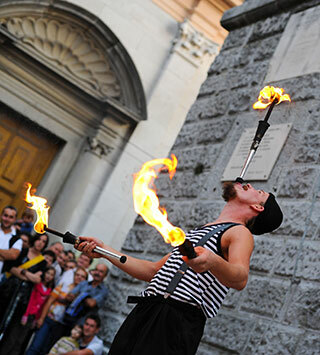 You can enjoy in breathtaking shows by clowns, street performers, acrobats, musicians, actors and dancers. 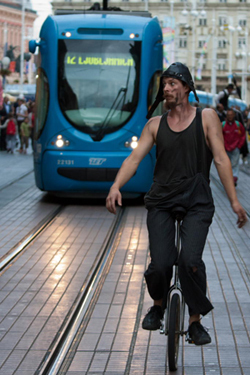 This festival is dedicated to turning the streets of Zagreb city center into a circus show. Programme on 6 stages with hundreds of performers from all over the world, 5 days filled with performances, music, drama, children’s activities, art, sport and other events will put a smile on the faces of fans, as well as all chance passers-by and visitors to Zagreb. This multimedia street festival preserves Zagreb’s identity, enlivens city streets and squares, bringing them back charm and optimism. Every year festival events transform the centre of the city entirely and on the average 50 000 people see the programme every day. The features of the festival are: music, theatre, children’s activities, art, sport and other kinds of performances. For detailed programme schedule you can visit Cest is d’ best official homepage or inquire at Hotel President reception. Previous PostHotel President won Tripadvisor Certificate of Excellence 2015!Next PostNew York Times writes about Hotel President! 3. Hey, thanks’ for your comments.